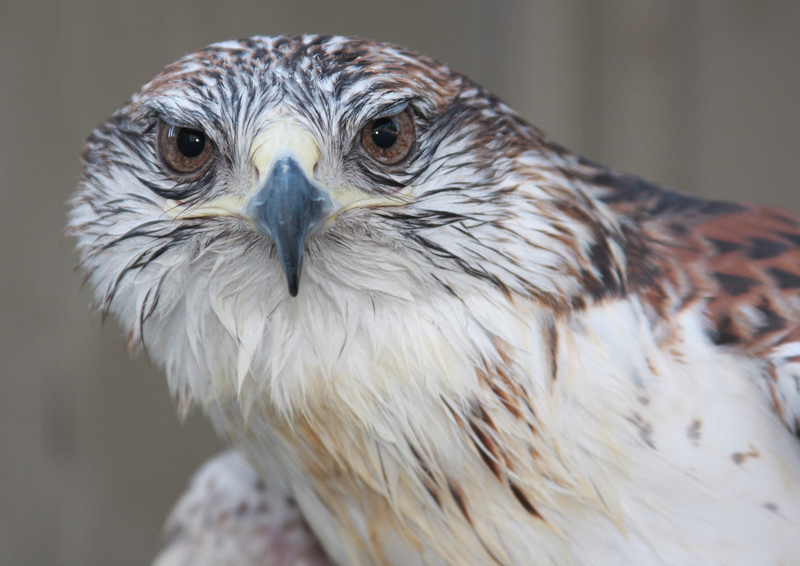 On Being Cool /Hawks Aloft Inc.
During these long, very hot days of summer, our educational birds suffer in the heat. Many, like our Ferruginous Hawk, shown here, love an afternoon shower. Ferrug, as he is affectionately called, is especially fond of being wet. He dances in the spray of the hose, flapping his wings and jumping up and down on his perch. Another way that we help our birds to stay cool is by placing bottles of frozen water in their bath pans. The water remains cool even at the very end of the hottest days! Do you have a tip for helping us keep our birds cool?